Hello everyone! I hope you are all having a lovely Saturday and enjoy the rest of your weekend! 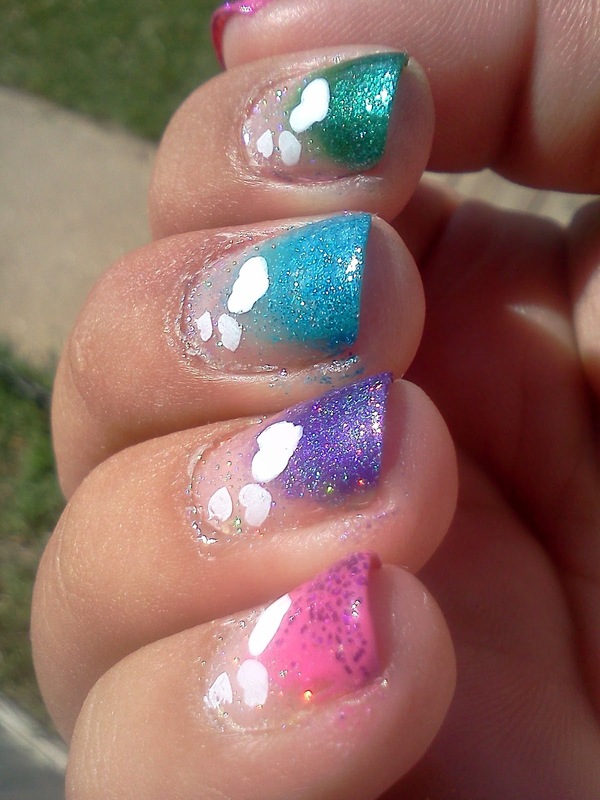 Today is the last day of the gradient challenge Kelly from Nailpocalypse and I did. I had so much fun with all these challenges and it was great working with her! 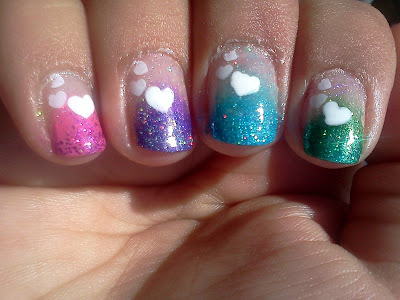 So for today's challenge I did each of my nails a different colored glitter gradient with some hearts! Enjoy! *Don't forget to go over to Kelly's page to see what glittery awesomeness she came up with! Aww, this is really sweet with the little hearts! These are really pretty! 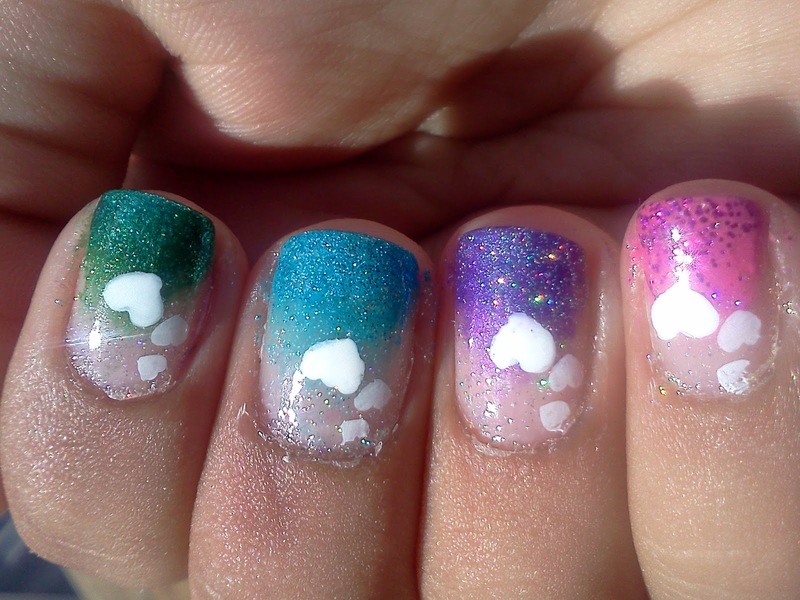 I love the hearts on top! 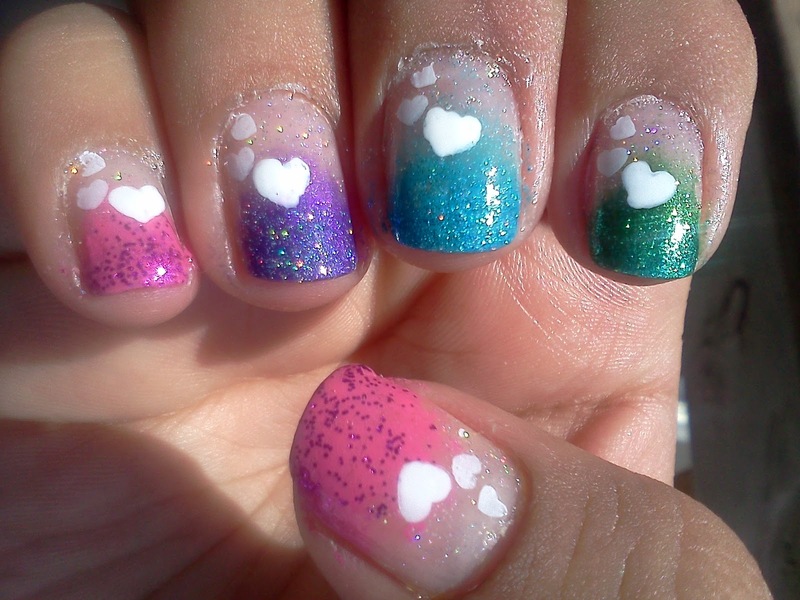 Cute mani! I was your 100th follower - YAY! OMG, those little hearts!! So cute! I am loving the skittle glitters.